Helen Gilkey Burns Wells, widow of Lindbergh Wells went to be with the Lord on Thursday, November 8, 2018 at the University of Kentucky Medical Center. She was born September 23, 1927 in Bourbon County the daughter of the late William Taylor Burns and Mary Day Parrish. She attended Indian Creek School and Buena Vista School in Harrison County and graduated from Bourbon County High School in Millersburg, Ky. She also attended Transylvania College and Maysville Community College. She worked as a secretary for 10 years at the Bourbon Co Soil Conservation District and as a Purchasing Agent for the VA Medical Center in Lexington for 17 years. She was a member of the Central Baptist Church for over 60 years and was the secretary for The Current Missions Group. She enjoyed going to Florida during the winter months and loved gardening in her yard during the summer. She is survived by one son, David Bennett (Traci) Wells of Clermont, FL; daughter-in-law, Jill Wells; one sister, Mary Lou Rankin; seven grandchildren, Steven Michael (Vicki) Wells, Lori Michelle (Chris) Mitchell, Elizabeth Kate (Micheal) Boyd, Daniel Taylor (Becca) Wells, Emily Lorraine (Travis) Dyer, Wendy Leigh Wells, April Lynn(Pete Jacques) Wells; step grandchildren, Michael Wolf, Dawn Swaim; great grandchildren, Brianna Katelyn Wells, Christian Michael Lindbergh Mitchell, Tyler Christopher Mitchell, Hannah Caroline Mitchell, Zacary Thomas Friesner, Devon Michael Friesner, Ciara Lynn Friesner, Ian Bennett Jacques, Dylan Lee Jacques, Hunter Paul Jacques, Nicholas Tyler Jacques, Charlotte Dean Boyd and Emma Kate Wells; step-grandchildren, Savannah Boyd, Faith Boyd, Bailey Boyd and Aubrey Lynn Swaim; two great, greatgrandchild, Christopher James Gordon, Stephanie Joan Mitchell; four sisters-in-law, Margaret King, Ruby Linville, Nina (Donald) McClain, Anna B. Link; and numerous nieces and nephews. She was preceded in death by her husband Lindbergh Wells; sons, Lindbergh Wells Jr, William Dean Wells; daughter-in-law, Joan Wells; one sister, Annetta F. Williams; brother, Kenneth Taylor Burns; sister-in-law, Sue Lois Burns; brother-in-law, Bobby Rankin; and step grandchildren, Christina Swaim and Travis Rummel. 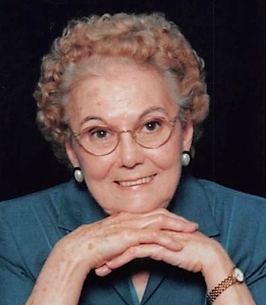 The Funeral Service for Helen Gilkey Burns was entrusted to Hinton-Turner Funeral Home and will be held on Wednesday, November 14, 2018 at 11:00 a.m. with Rev. Steve Scherer officiating. Burial will follow in Evergreen Memory Gardens with casket bearers being Steven Michael Wells, Daniel Taylor Wells, Gaylen F. Rankin, Michael Rankin, and Allen Taylor Burns. Honorary bearers will be Dorothy Osborne, the Current Missions Group at Central Baptist Church and the retirees/friends from the VA Medical Center in Lexington. Visitation will be on Tuesday, November 13, 2018 from 5:00 p.m. – 8:00 p.m. at Hinton Turner Funeral Home. In lieu of flowers, the family request expressions of sympathy be donations to Central Baptist Church. To send flowers to the family of Helen Gilkey Wells (Burns ), please visit our Heartfelt Sympathies Store. We encourage you to share any memorable photos or stories about Helen . All tributes placed on and purchased through this memorial website will remain on in perpetuity for future generations. Sending a collection of thoughts and sympathies to the family of Helen Gilkey Wells. Even as she is missed she lives on through you. Our deepest Sympathy to Helen's family. We will dearly miss her at her Winter home in Florida. A lovely lady who led our Craft Group, Exercise Group and a willing participant in all activities. Sorry for your loss,praying for your family.